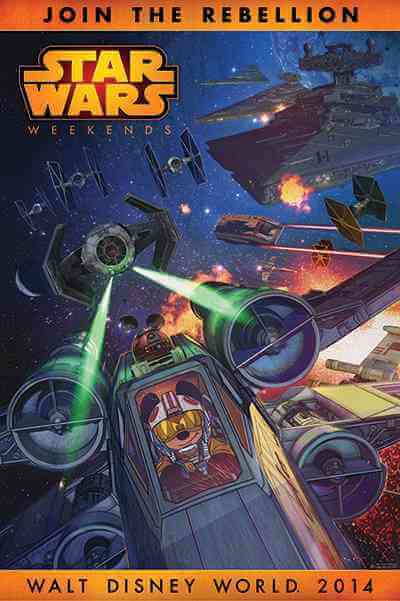 With Star Wars Weekends 2014 launching in less than a month at Disney’s Hollywood Studios, Walt Disney World has finally announced the full line-up of celebrities that will appear at the intergalactic event. Voice actor James Arnold Taylor will host, joined by Ashley Eckstein – voice of Ahsoka Tano in “The Clone Wars” – in a “Behind The Force” show featuring “Star Wars Rebels” cast members. – Souvenir Disney PhotoPass card with a series of complimentary Star Wars photos. I’m such a big fan of Dee baker. He can do anything with his voice! Where will the parade and fireworks viewing area be? Will it be in the shade? Will there be any autograph signing?